Simon Sinek sets out to explain why some companies manage to create customer loyalty that approaches religious worship. Why companies and organizations manage to “break through” where others (with much larger budgets, much better media support and “professional” managers) fail. And why some companies who used to be top performers suddenly fall. This objectives is not new. I assume we all recall “In search of Excellence” and “From Good to Great”. 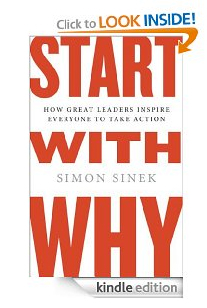 If you are a person with ambitions of changing the world, “Start with why: How great leaders inspire everyone to take action” is a great book to read. 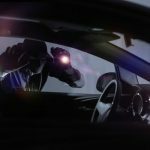 But be aware: There is a catch! I didn’t know Simon Sinek until a good colleague of mine sent me a link to a TEDx video with him (see later in this post). 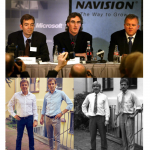 The reason for passing the link to the video was Simon’s presentation of “The law of diffusion of innovation” at 11:08 in the video. My colleague and I have been engaged in a project for a while and we had a strong suspicion that our client was in possession of a piece of disruptive technology. 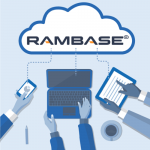 We had tried to introduce our client to the “Crossing the Chasm” principles, which would explain why the client had difficulties getting market traction with his product. Our client has a problem with “management books” so we found Simon Sinek’s version much easier to comprehend and would use the video in our consulting with the client. I watched the video (18 minutes) and liked what I saw and heard. The messages were not new, but the packaging was (and still is) outstanding. The combination of Why, Trust and “Crossing the Chasm” makes a lot of sense for companies, who want to conquer the world/market on a very tight budget. 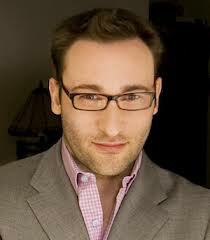 You can read more about Simon Sinek on his blog. 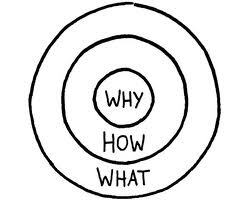 Simon Sinek’s message is that successful leaders work from the WHY over the HOW to the WHAT. Successful leaders are engaging their employees, their suppliers, their customers and all other stakeholders in a mission to achieve something greater than themselves. Great leaders have and are capable of communicating a cause with which the individual can identify. Great leaders are not driven by the opportunity of becoming great leaders. They are driven by a vision of making the world a better place for others than themselves. With illustrative examples (Martin Luther King, Steve Jobs, The Wright Brothers) Simon Sinek convincingly drives his observations and principles home. Simon Sinek introduces The Golden Circle, which explains how any “movement” needs to define itself if it wants to make a “dent in the Universe”. Most organizations identify themselves though WHAT they do. Some also emphasize HOW they do WHAT they do. But surprisingly few know, understand or remember WHY they do it. WHY is not the same as making a profit, growing revenue, market share, shareholder value or some other RESULT. WHY is the PURPOSE. Why does our organization exist? What is our contribution to mankind and the world? WHY does mankind need what we do? As mentioned earlier, there is little new in the book, but somehow it seems as if we keep forgetting these universal principles. If we want people to deliver outstanding performance, we must engage them emotionally. We must have a greater cause, with which they can identify as if it was their own personal cause. We must have a vision, which people can assume as their own personal vision. With a powerful WHY you can attract people who will work hard and be dedicated because they see the cause as their own cause. His point is that if you want to change something you need, find and engage innovators and early adopters. Your why/vision will have no impact on 85% of the population because they don’t tick on new stuff. Innovators and early adopters are people who trust their intuition and listen to their “guts” as they scan for things that can change/improve their lives. Only with a strong WHY can you engage and win innovators and early adopters, which gives to the platform to later move on to engage the conservative majority. And your idea and purpose will not break through until you reach the “tipping point”. The “tipping point” is around 18-20% of the market and requires the acceptance of a least a portion of the early majority. Beyond the “tipping point” the product/idea becomes self propelling and can take the entire market. As organizations and companies grow they tend to forget the WHY. The founders go away and “professional” managers take over the leadership. The companies make IPOs and the focus moves to shareholder value, profit, market share and other fiscal objectives. Customers and staff do not get motivated by shareholders who want to be rich and managers who want to be rich & famous. The energy created by the emotional engagement in the cause vanishes and the performance of the organization suffers. If the book were only addressing what you need to do if you want to become a Steve Jobs, the Wright Brothers or a Martin Luther King, then it would be relevant to very, very few people. Not that there are not a lot of people who dream of becoming famous and recognized, but because there are only very, very few that will succeed. And if your only objective is to become famous, then the probability is even lower. And this is where the catch is. The book is written for people who truly want to make the world a better place for others rather than themselves. It is meant as a helping hand to find the way to accomplish the WHY in your purpose. Becoming famous and recognized may be a result of the success of your idea and purpose, and you will have to live and cope with that. You cannot fake the WHY. You cannot twist your selfish objective into a purpose for others. That’s called rationalization and it is no substitute for a real WHY. I find the book refreshing. It is not just another book on how you become successful, famous and rich. This is a book pushing all of us to work on something greater than ourselves. 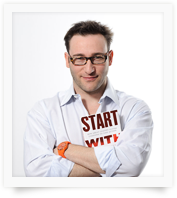 Simon Sinek takes a stand and the book may be one of the first voices in a new movement. A movement where those of us, who can take care of our families, who have cars, houses, vacations and all the other levels of the Maslow pyramid well covered, start caring about others and applying our energy and resources on making the world a better place for others than ourselves.